Plank is a challenging exercise that engages the entire core section. The rectus abdominis and transverse abdominis which form the outer and inner abdominal muscles are the primary stabilisers in this exercise. But the Plank also requires the stabilisation from the upper body; chest and serratus and the lower body via the quadriceps and sartorius muscles, which are located in the inner thigh. Thus, the plank is a compound exercise which builds strength, stability and flexibility for the entire body. Bend your elbows and position them directly under your shoulders. Place your hands close together for better balance and stability. Keep your legs straight and shoulder- width apart. You may repeat the exercise once you’ve completed the target duration of the Plank. 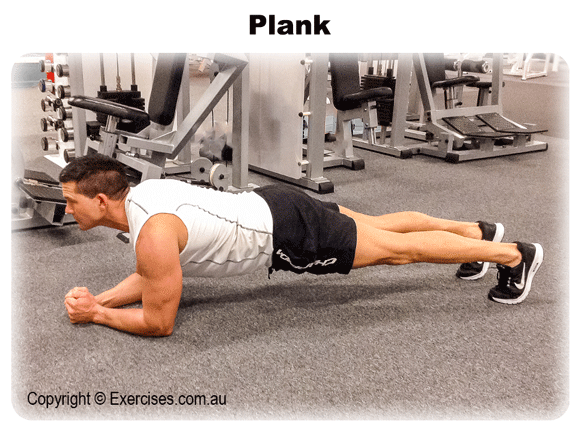 Plank is a static exercise which means you have to hold the position for a pre-determined time. If you’re a beginner, try to hold the plank for 30 seconds and build up from there. The recommended time to Plank for fitness is 120 seconds. You can also perform Plank in increments of 10 second holds. 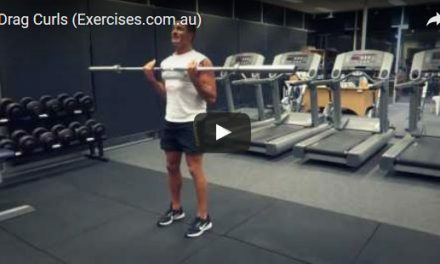 Start out with 5 sets of 5 reps which each rep equivalent to a 5 second hold. Do not raise your glutes too high up because this removes tension on the core muscles. Do not keep your glutes too low because this places compression forces on the lower back. Maintain a straight body position with your elbows directly under your chest.